Undulations mark both sides of the path of Saturn's moon Daphnis through the A ring. 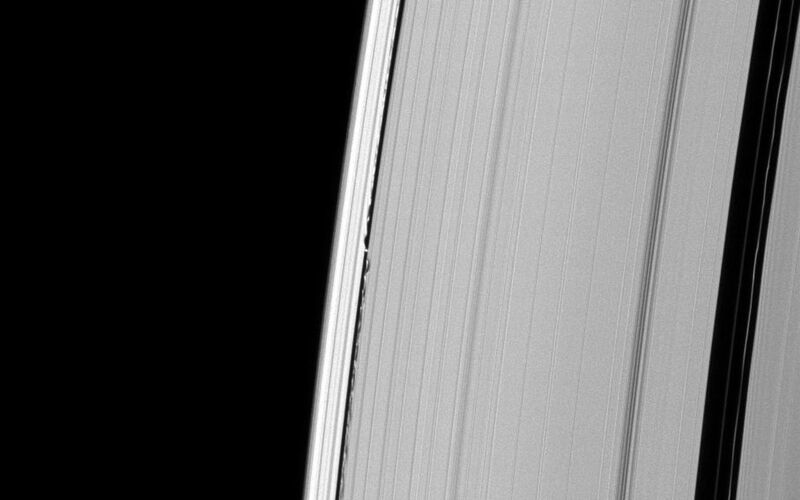 Daphnis may be small at only 8 kilometers (5 miles) across, but the moon's gravity is great enough, and the Keeler gap in which it resides is narrow enough, so that the perturbed particles create the wavelike patterns seen here. 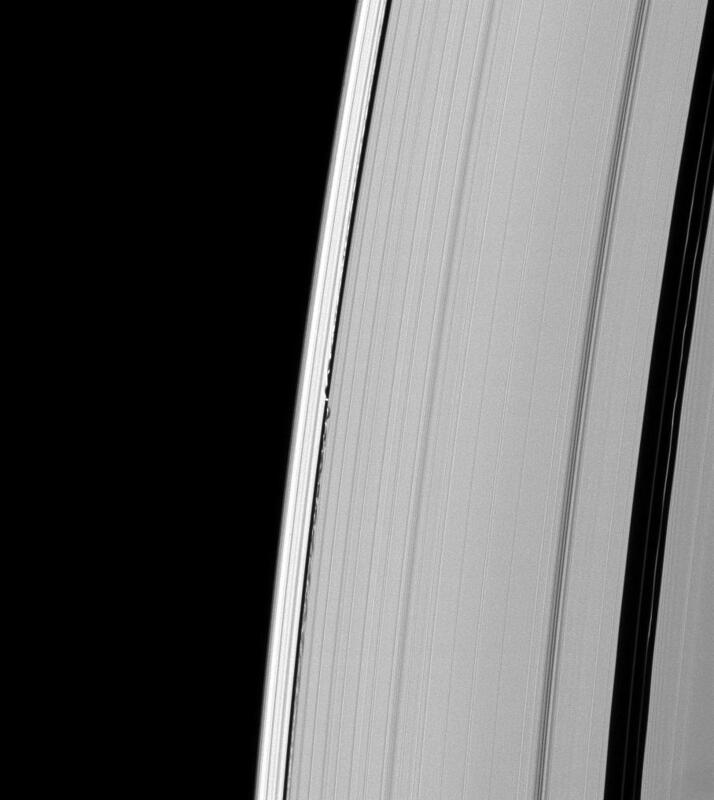 This view looks toward the unilluminated side of the rings from about 47 degrees above the ringplane. The image was taken in visible light with the Cassini spacecraft narrow-angle camera on Feb. 21, 2009. 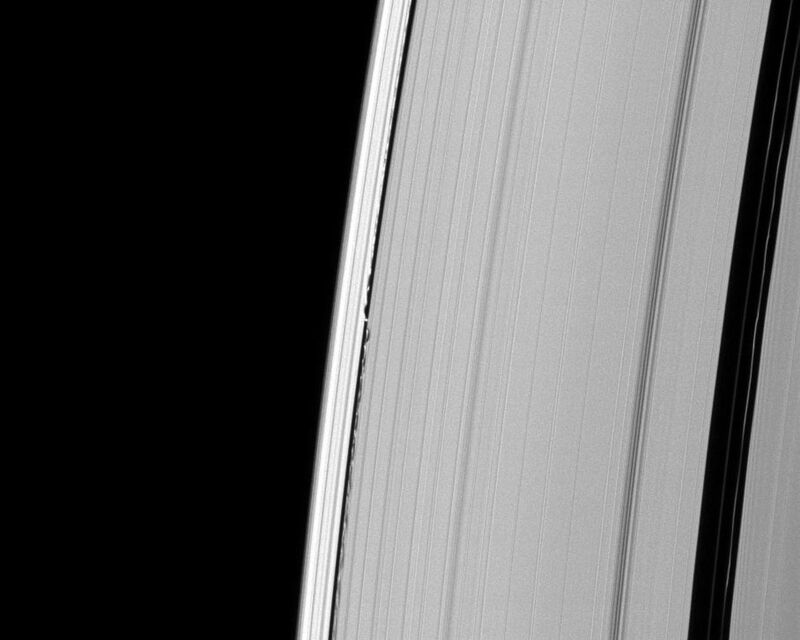 The view was acquired at a distance of approximately 1.1 million kilometers (684,000 miles) from Daphnis and at a Sun-Daphnis-spacecraft, or phase, angle of 50 degrees. Image scale is 7 kilometers (4 miles) per pixel.